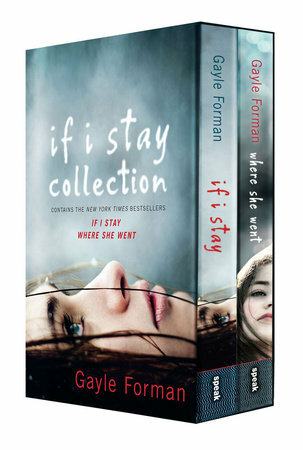 Gayle Forman's New York Times bestsellers If I Stay and Where She Went are now available in a boxed set! In an instant, Mia’s whole world is shattered. Now her life is only questions. What will happen if she leaves? If she loves? If she stays? The inspiration for a major motion picture, Gayle Forman’s romantic duet of novels tells a tale filled with tragedy, love, and ultimately, hope.